Thank you everyone for your patience and support during the FPS uniform shop transition to the Farrer P&C. 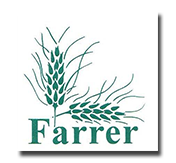 The Farrer Uniform Shop operates under the P&C as a fundraising activity for the school and we appreciate your support. Please remember that this shop is staffed by volunteer parents. Will be available shortly via https://www.school24.net.au/. For new accounts our school setup code is 25128963. Orders will be sent home with students. The uniform shop will be open in person and hours advised through SkoolBag. For the uniform shop to be sustainable and provide a fundraising opportunity for the school, each item includes a small donation to the P&C. Donations are welcome to either the uniform shop or the front office (please no broken or stained items). Items can be purchased by donation.